Home » Passover in September? Because it follows the Exodus story, the Lectionary tells us about Passover just after Labor Day. This seems strange, because this Jewish feast always falls in early spring, often near our Easter. What God tells Moses to do here is a ritual. Many of us flee from ritual. When people do a passover meal, they sometimes call it a “Seder,” which means an order of service or a ritual. God speaks through Moses, saying, do this and you shall live. God is serious about this and Moses must have been persuasive. How else would he get people to splash blood upon the door posts of their house? In some ways, doing ritual is our downpayment on spiritual change. We pray to be made different people. But nothing changes until we make some outward sign of commitment. So a couple wants to change and become more serious about their relationship. He buys her an engagement ring. They set a date. These are ritual things. Let’s sat you want to lose weight. You can wish and hope. Most people find that going down and actually plunking money down as a deposit on having a coach or a weight loss program and clearing your calendar so that you actually are committed to go running at 6am… I’m not endorsing any of this, I’m just saying that these are the kind of things one does. In the Bible, ritual is tied to real sacrifice. This is something you commit yourself to doing, even when it is easier to stay in bed. This is something you do even when it is expensive (Passover lamb wasn’t cheap for the people in Egypt). Passover became the central ritual for the God’s people for over 1200 years and continues to be the mark of an observant Jewish family today. 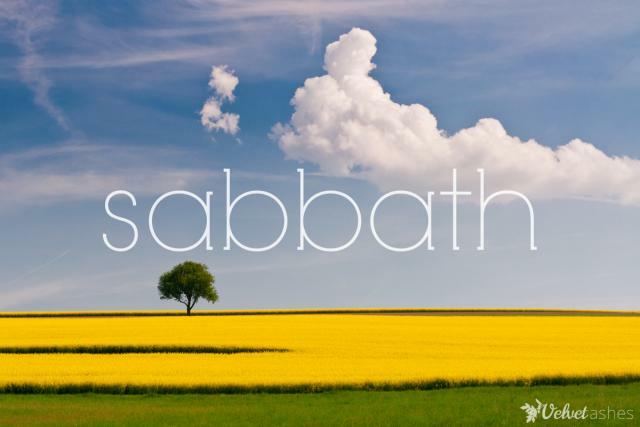 1) Weekly Sabbath - the actual laying aside the normal things that we do; checking email, Facebook posting, presidential tweeting, running amok at the mall, our job. Families and couples should discuss together how they will observe the sabbath and make it a holy time each week. It is traditional to take on something, like visiting those who are shut in, an act of charity, doing a puzzle or cooking a meal together. 2) Study - spiritual reading and prayer time need to be ritually scheduled into your week. 3) Getting out of town - we need rituals where we break the hold that our day to day routine has on us.